In anticipation of Earth Day, we learned about the complex interconnections between humans, ocean, atmosphere, and land. 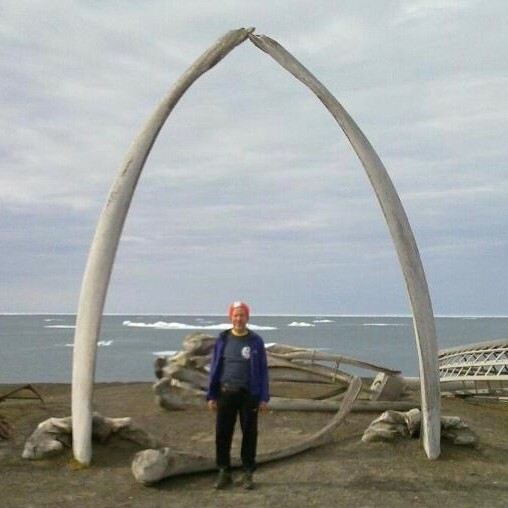 Dr. Bob Rabin, meteorologist, shared stories from his studies at Ilisagvik Tribal College in Utqiagsvik (Barrow), Alaska about human adaptation to extreme changes in climate. Our accompanying service project is to help Earth Rebirth install a garden at Dimensions Academy. Find out more by visiting Earth Rebirth’s facebook event page. We are participating in this service project in order to stay in engaged in the community after our recent evening with Dr. Rabin on the Value of Indigenous Science. One of the many things we learned from his talk was the importance of experiential knowledge, and gardens are a great way for us all to observe and learn about the natural world. This lecture is part of our Compassion Around the World lecture series and is made possible in part with support from the Chickasaw Nation.